Helen is the biggest skier in our team, having skied in extensively with her husband Jason in Europe, Canada and the USA before having a family. 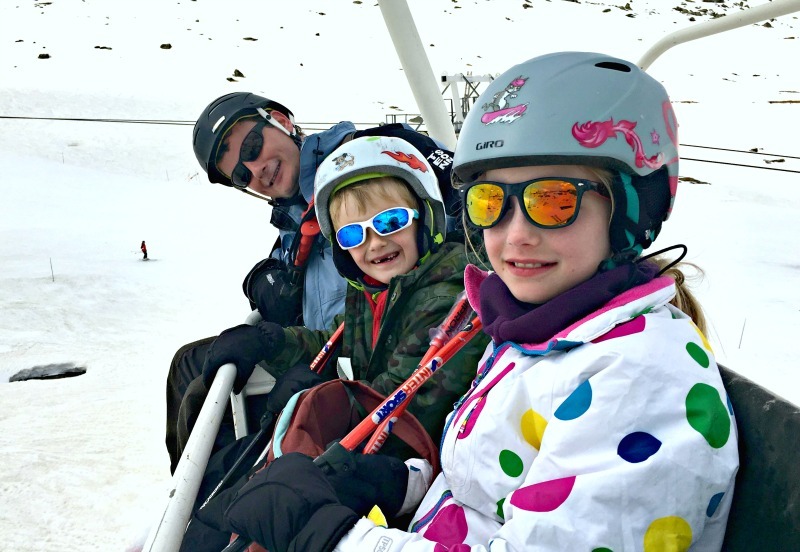 In recent years they’ve started to cultivate a passion for the slopes in their two children Maddie and Evan, aged 11 and 8; this year they’ve completed two very different ski trips – a half-term in family-friendly Les Carroz, and more recently an Easter week in the glacier resort of Val Thorens. Both resorts are in the French Alps, and each time the family has chosen to drive the journey, instead of flying. 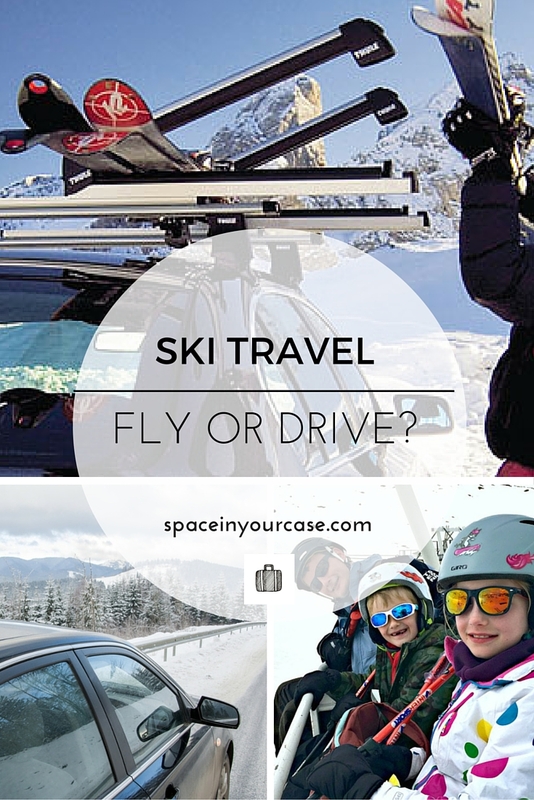 Here Helen discusses the pros and cons of flying and driving to a ski resort. If you’ve ever taken a package holiday you’ll be familiar with the 3am alarm call you set the night before. It’s the same with a lot of ski trips: arrive at Gatwick around 5am, 2 hours to Geneva or Lyons, and then 2-6 hours winding up the mountain on a coach. Ski resort transfer day is a notorious slog, the reward for the hours of travel being a scrum in the ski hire shop, before you collapse into a fondue and a bottle of red wine, heavy on the tannin. But skiers endure those hellish Saturdays for the sake of what is to come. A week of gliding (or hilariously tumbling, depending on your level) through gorgeous scenery; the thrill of mastering a challenging run; and beers in the evening as you recount tales of wipeout falls, heroic jumps, or that perfect powder you cruised through. It’s totally worth it. But is there a way to minimise the stress, especially now you’re taking children as well? This ski season we’ve done our travel as road trips, and wanted to share some of our personal pros and cons of flying versus driving to a ski resort. Driving to a ski resort – is it any easier? Timings: you pretty much choose what time you travel. At half term we found we were able to pick up the kids from school on Friday afternoon, sail smoothly into the Eurotunnel, and be in Calais by 6pm. Travelling the night before might add an extra night in a hotel to your costs, but it allowed us to miss most of the Saturday crush, and make it into resort in time for lunch and a more leisurely approach to organising ski hire and lift passes before the crowds arrived. We usually choose to stay in a Holiday Inn or Ibis around Dijon; friends have stayed in Reims or Calais, and this is definitely a good option if you prefer not to drive in the dark. Luggage: your only limit is the size of your car, and even then you can add roof box or trailer to boost your space. This is probably one of the biggest advantages of driving, especially with a young family. We packed for skiing, we packed for potential evenings out in resort, for swimming pools, for warm and cold days, and for hanging out in our apartment (I always feel more at home if I have my slippers, don’t you?). Then we packed pasta, loo roll, washing up liquid, Nesquick and Lucozade, just so we didn’t have to rush out and find the shops as soon as we arrived. The essentials, the things our family needs on holiday – we just threw it all into the back of the car. In years gone by the list would have included nappies, formula, and all our spare drinking receptacles, just in case. Eating en route: this is a big one for me. There only ever seems to be junk available to eat when you’re travelling – even a croque monsieur is tacky when you buy it from a service station. I made a fab Spanish tortilla omelette, wrapped it in foil and popped it in a cool bag along with some tomatoes and strawberries, and lots of water bottles, and we had a healthy lunch to eat along the way. It made me feel better about the inevitable McDonald’s we succumbed to in the evening. By contrast, flights for four people return from Heathrow to Geneva for February 2017 half term are currently £1072 with Swiss Air, with airport parking coming in at £103, and a shared minibus transfer to Chamonix €336 with Geneva Airport Shuttle. Flexibility: Should you be the kind of family that likes to discover more of a country than just your holiday resort – and you have the time – combining your trip with a stop in another city or region is easy to do. Beaune is en routes, as is Dijon, and Paris isn’t a stretch. Though personally I’ve always rather enjoyed a night in the cities of the Champagne region. Someone needs to be prepared to drive. On the way to our ski resorts both times we broke the journey with a night in Dijon, but that still added up to an eight hour drive on the first day, with another four the following morning to get into resort. That said, we’ve found driving in France to be relatively straightforward, the motorways are good, and it’s not a difficult route to Lyons, before heading up to the Alps. But it can get tiring, especially if you follow our habit, and get the bulk of the driving done on the first night, in the dark. Driving in the snow can feel daunting if you’re not used to it, especially if you don’t have 4-wheel-drive. It pays to be prepared; we had snow chains, and it was essential to have practiced putting them on before we set off, as you fit these by the side of the road, once you come across snow. We’d also recommend reading the driver’s manual for tips on driving in snow, and even perhaps a visit to your dealer for specific tips on your car. 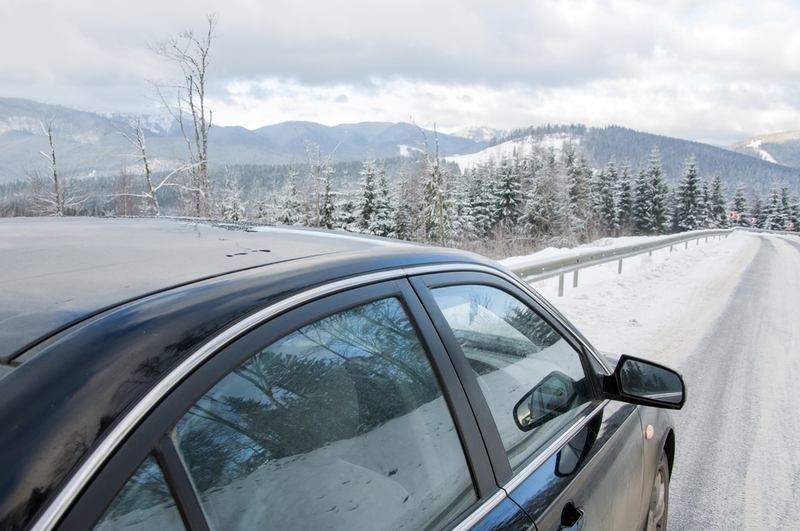 Here are some more tips on driving in the snow. It takes longer. If you’re pushed for time, flying might be the best option, depending on your proximity to an airport. Flying from both Luton and Gatwick would save us around 3-4 hours, but that extra time might feel worth it for the more relaxed and self-governed journey style. Wear and tear on your car. There’s no doubt about it, it’s a long trip, and the mileage adds up. Factor in some depreciation, and tyre wear, and you’re increasing your costs, though it’s still cheaper during the school holidays than flights alone. Cost: as an example we searched Val Thorens self-catering apartments with Crystal Ski, and found a week at half term 2017 in the Village Montana apartments for £3593, including flights and transfers. Our accommodation in Les Carroz, at a similar standard, cost £1700, which, added to the flight costs of organising our trip individually, would have made the more premium resort of Val Thorens look more cost-effective. Convenience: here’s where the benefits of travelling as part of a package deal really add up. When you book, you’ll select exactly what you want for your family. That includes flights, transfers to resort, accommodation, lift passes (usually waiting for you at your hotel), and ski hire. Tour operators usually opt to use hire shops close to your hotel or apartment, and often manage to have lift passes waiting for you when you check in, although when we stayed at the Hameau du Kashmir in Val Thorens, this was also possible, by dealing directly with the reservation staff at the complex. Timings: you’re largely restricted to the times allocated to your package provider, unless you choose to make your own way, booking flights, transfers and accommodation separately. Luggage: there’s a lot to be said for offloading your bags at check-in, your only other task being to transfer it to a coach at the other end. 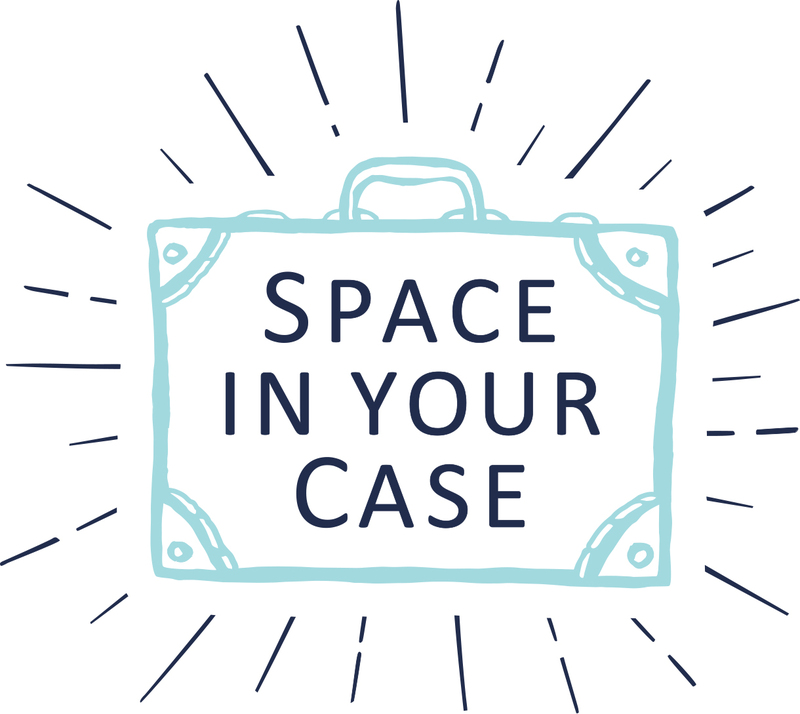 However you will need to consider how much to pack to comply with baggage allowances, and if you’re self-catering, you’ll have limited space for staples (including the kids’ favourite snacks)! All in all, we’d recommend driving if you have a confident driver in your family, and after our first year of ski road trips we’ll definitely be doing it again. That said, there are some great ski package deals out there, and if it’s your first ski trip as a family, it’s worth checking those out. We’d love to hear from you if you have experience of travel to ski resorts, especially if you have good tips on doing the trip with children. Great article on driving to the Alps. We have 2 kids (9&12) and have been driving to the Alps every year since they were 3. The only tips to add would be to consider stopping in the Jura hills overnight. This Feb we stayed at the Auberge du Lac Genin near Oyonnax. Beautiful and a great restaurant. The real plus of the Jura is that there’s usually snow on the ground so the kids get hugely excited & have a snowball fight: Your winter holiday has already started on your stop over night stop!